The Upper Cervical Blog: Upper Cervical Care...An Answer For Fibromyalgia? Upper Cervical Care...An Answer For Fibromyalgia? Fibromyalgia is a family of syndromes with similar symptoms. While each person with "fibro" always has the clear signs of fibromyalgia quality pain, how it affects the person and what other secondary symptoms arise is very unique. Most fibromyalgia patients experience the tell-tale fibro hot spots, of achy, sore muscular spots found in predictable points across the body. Many others will then experience depression, extreme fatigue (even after sleeping), chronic headaches, mental fog, insomnia, numbness and tingling, and even irritable bowel syndrome. While men do experience fibromyalgia, the majority of fibromyalgia patients will be women. According to medicine, there is no single cause to Fibromyalgia. Instead, the condition is best understood as a breakdown in the body arising from several different sources. Which means that fibro patients are often confused about what they should be doing to help themselves. Current treatments for Fibromyalgia include prescription drugs, physical therapy, nutritional therapy, acupuncture, and chiropractic care, among others. I have seen my share of persons suffering with fibromyalgia from across central Iowa. This clinical experience helps me say, with confidence, that every case is unique, and deserves more than just one treatment option. While the symptoms of fibromyalgia can also be influenced by diet, sources of nutrition, emotional and psychological issues, and history of trauma on the body, the nervous system cannot be ignored. There is good reason to believe that much Fibromyalgia pain is caused by an overactive response, between the muscles and the nervous system. This may explain why fibro patients experience other nervous system related symptoms, like depression, headaches, and insomnia. Many of the medications that fibromyalgia patients are prescribed influence the human nervous system. Can fibro patients use upper cervical care? While no one solution is a magic bullet for everyone, many fibromyalgia patients have found significant help with upper cervical care. 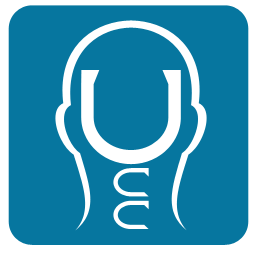 Upper cervical care focuses on the relationship between the skull and the top of the neck, because of the unique way human beings are formed at this area. The head-to-neck junction contains very important nervous system tissue inside of a joint which is susceptible to injury. Accidents and injuries which disturb this area of the body may change the way the nervous system functions. Fibro patients who have received gentle corrections to their upper neck have seen great improvements in their fibromyalgia pain. These improvements are often enough to help them manage their own care successfully, with exercise, and diet. And in some dramatic cases, the body's response to the upper cervical correction has resulted in an almost complete remission of fibro symptoms. Fibromyalgia patients may appreciate the gentle approach that most upper cervical doctors use, since contact with painful areas of the body is not necessary. Every case of fibromyalgia is different, and every fibromyalgia patient is unique. While not everyone will respond all of the time, fibromyalgia patients should know that they have a resource in upper cervical care. Even if a fibro patient has tried general chiropractic, they may still benefit from a consultation with an upper cervical doctor. Dr. Barbara Read practices in Ames, Iowa at Read Health Center. She is an upper cervical doctor, Board Certified by the National Upper Cervical Chiropractic Association (NUCCA). Dr. Read enjoys helping patients of all ages and ability get out of disabling pain, and strengthen their health with upper cervical care.